We have good news for Fox’s HVAC customers, Congress extended the Residential Energy Tax Credit for the purchase of energy efficient appliances. If you installed a heating or water heating system in 2016, this post is for you! The US Government has elected over the past decade to provide a tax credit for several types of energy-saving upgrades to your primary residence. New construction and rentals do not apply. There is, with a few exceptions, a $500-lifetime credit limit per household. Alternative energy – such as solar, wind and geothermal. If you have implemented one of these systems in 2016, go to gov to learn more about your 30% credit. The lifetime limit of $500 per household does not apply to these upgrades. Materials for the envelope of your home – that means roofs, doors, windows, some siding, and insulation. For these items, only the materials portion of your installation counts towards the credit, and each item has a credit limit of 10% of the cost, up to a listed maximum. Your installer can provide the materials portion of the cost. Heating, Cooling, and Water Heaters. For each of these products, there is a qualifying level of efficiency and a dollar amount of credit you can take, (see below). Fox’s HVAC and Plumbing teams install many qualifying products – and your 2016 installation may be one of them. See below for details and compare this to the sticker on your equipment. Heating, Cooling and Water Heater tax credits are calculated as follows: 10% of total cost (including installation) up to the specified amount within the table below. Given costs to professionally install products, most will be eligible for the maximum credit. Remember, each household can only take up to $500 of credits over a lifetime. See your tax advisor to determine your personal eligibility. This is a credit, which means it reduces your taxes due, dollar for dollar. 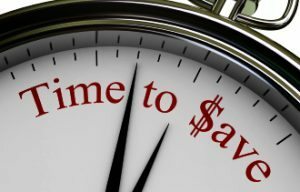 So don’t miss out on these HVAC savings. (Hint: If you do your taxes yourself online, this is not a form that automatically populates in your software, you may need to hunt for it.) 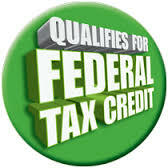 The full list of tax credits can be found at either irs.gov or energystar.gov. If you need more information as to whether your heating, cooling or water heating equipment meets these qualifications then 'Think Out of The Box.. Talk to Fox'.